Thank you for participating in our Shirt Off Your Back contest to benefit homeless seniors using the services of Operation Friendship Seniors Society! This round of Shirt Off Your Back runs from Monday, April 1, 2019 to Sunday, April 14, 2019. The winner will be drawn at random and announced on Monday, April 15, 2019. By participating you will be entered into a random draw for a Dining Experience for Two at Nello's Cucina Italiana. 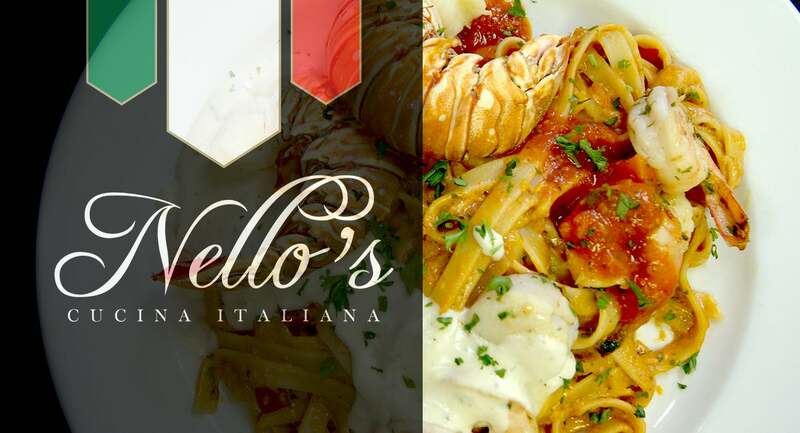 Thank you to our prize sponsor, Nello's Cucina Italiana! We're seeking gently used clothing items including blue jeans, jackets, long-sleeve t-shirts, and hoodies/ sweatshirts to help clothe homeless seniors for the months between now and summer (please make sure undergarments are new only). Of course all gently used or new clothing items will be graciously accepted. Items are to be gently used (or new) and free from stains, holes, etcetera. Donated items go directly to the homeless seniors who need them and are not sold by the agency! Fill out the form below providing your address for pick up in the message field and you will receive one entry for each item you donate! We will contact you after contest closing to arrange to come pick up the items you're donating. Please indicate the number of items you're donating and your preferred address for pick up in the "Message" field. We will contact you following the announcement to arrange to pick up your donated items. All donations go directly onto the bodies of those in need. Nothing is sold as part of a social enterprise.